Birthdays, there is always so many of them, each month another family member to buy for. August is the mother in laws turn. 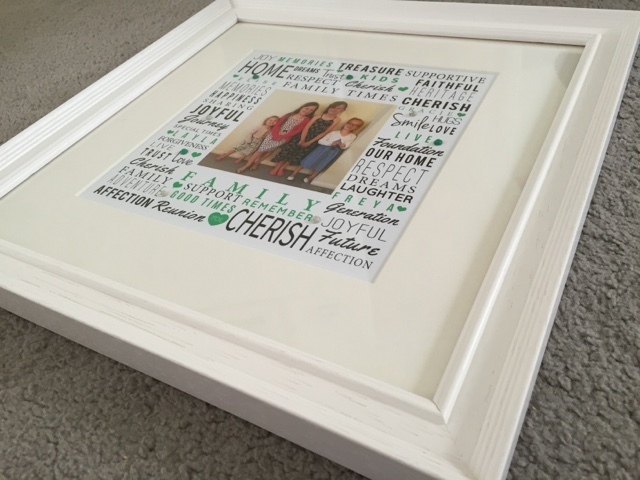 Something I've mentioned frequently is that I love buying personalised birthday gifts, I find them to be more meaningful and this is definitely something you can find at Toxicfox. From funny, unusual to the downright funny, there is something to suit everyone. 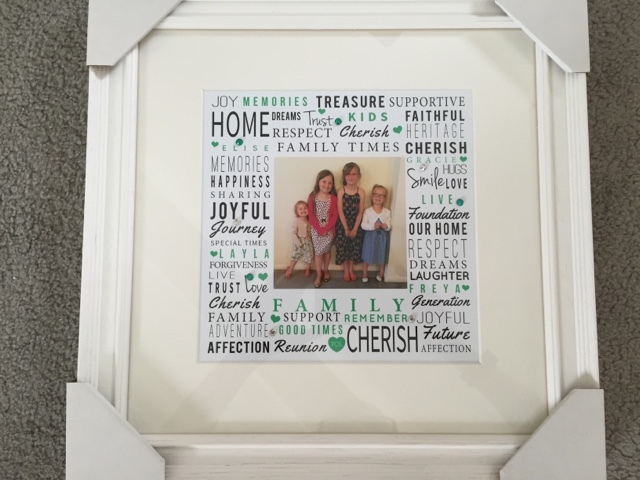 The kids nan loves photos, her walls and tables are covered in canvases and framed photos so when I was asked to choose something from their site I opted for the Typography Of Love, specifically My Family Photo with Matt Frame. What I loved most about this one was that not only were there already some meaningful words already printed, you could pick up to 10 more words of your own to add as well as an image of your choice. Of course you don't have to pick 10 different words, you could pick just a couple and have them repeated. 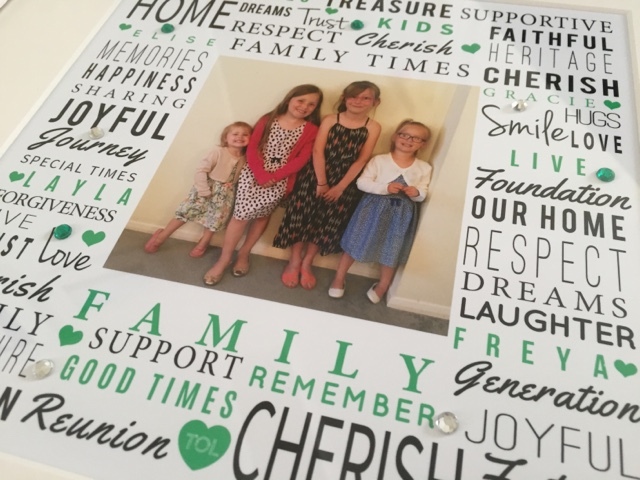 You also get the chance to choose what colour you'd like your font to be written in, I opted for green as that seems to be featured a lot in my mother in law's house. The subject of the chosen photograph was a simply choice, my children, her grandchildren. The difficulty came in picking out just one. Overall the whole process was easy and stress free and because you get to see a preview, you know what you've put together works. 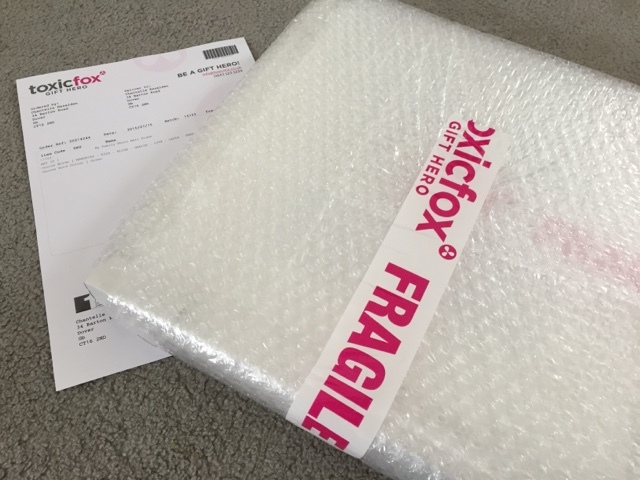 Delivery was relatively quick and I was happy to see that the framed photo was well packaged, plenty of bubble wrap (great for popping after) wrapped around it. What I didn't realise until I received the frame was that there were little jewels added within the picture, giving it that extra sparkly touch, a lovely detail. I love the wording, the pop of colour throughout the picture is refreshing. 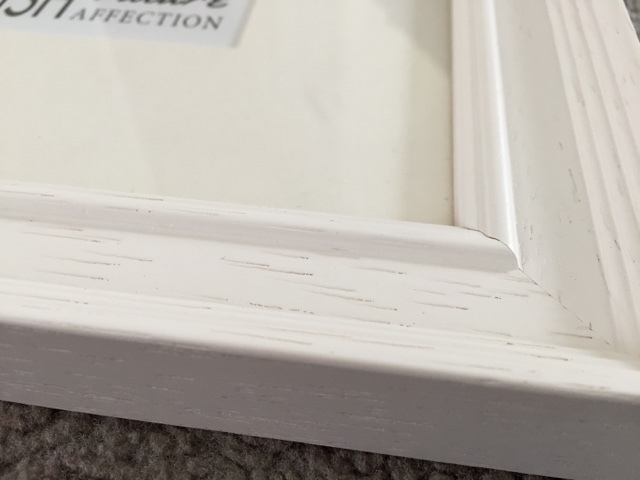 The frame itself is sturdy, has an antique feel to it. The only thing that I thought would have made it better would have been a hanging kit for it. Priced at £39.99, I think it is money well spent as you are getting a gift that is truly unique to the recipient. I would happily buy more items from Toxicfox not just for friends and family but for myself too. What a gorgeous gift. I love that you can add your own personal choice of words.